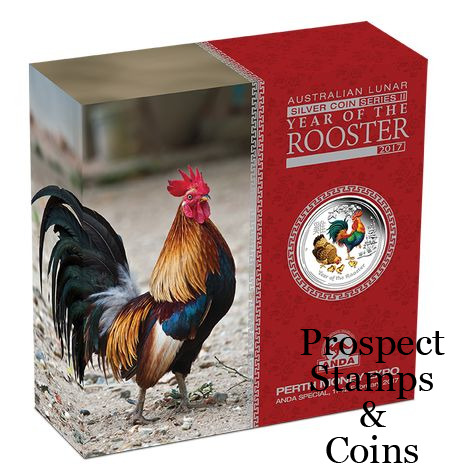 This year’s Perth ANDA Money Expo Special features the spectacular Year of the Rooster design. The birth dates for people ruled by the Chinese Lunar rooster include 1921, 1933, 1945, 1957, 1969, 1981, 1993, 2005, and 2017. Those born under the influence of this sign are said to be hardworking, loyal, honest, and sociable. 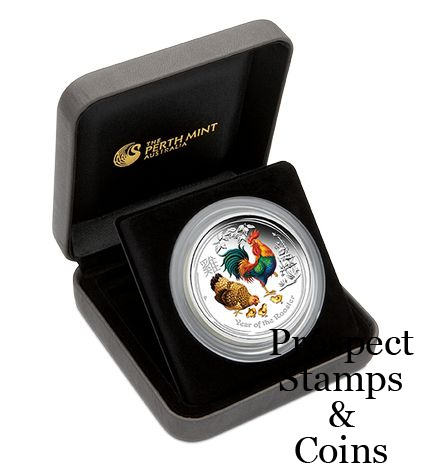 Struck by The Perth Mint from 2oz of 99.99% pure silver in proof quality. 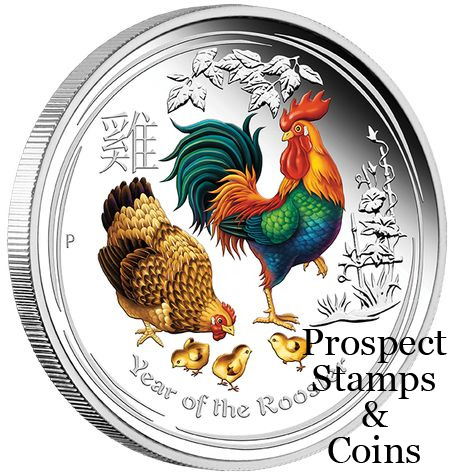 The Perth Mint will release no more than 1,000 of the 2017 Year of the Rooster 2oz Silver Proof Coloured Coin. 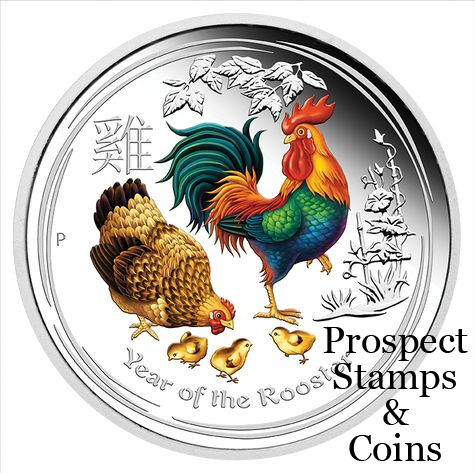 The reverse of the coin depicts a coloured rooster, a hen, and three chicks standing amongst bamboo foliage and flowers. The Chinese character for ‘rooster’ and the inscription ‘Year of the Rooster’ also appear in the design. 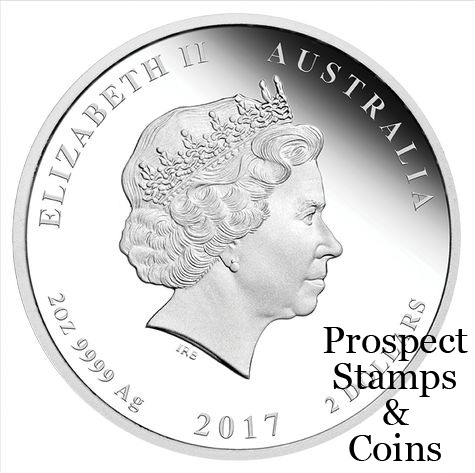 Accompanied by a numbered Certificate of Authenticity, the coin is housed in a display case and themed box-shipper featuring the ANDA logo alongside the dates of the Perth Money Expo.